As a busy mom of three active kids and a pet mom to both a cat and dog, who has time to go to a grocery store, pet store and a big box store? This is when places like BJ’s Wholesale Club come to the rescue. 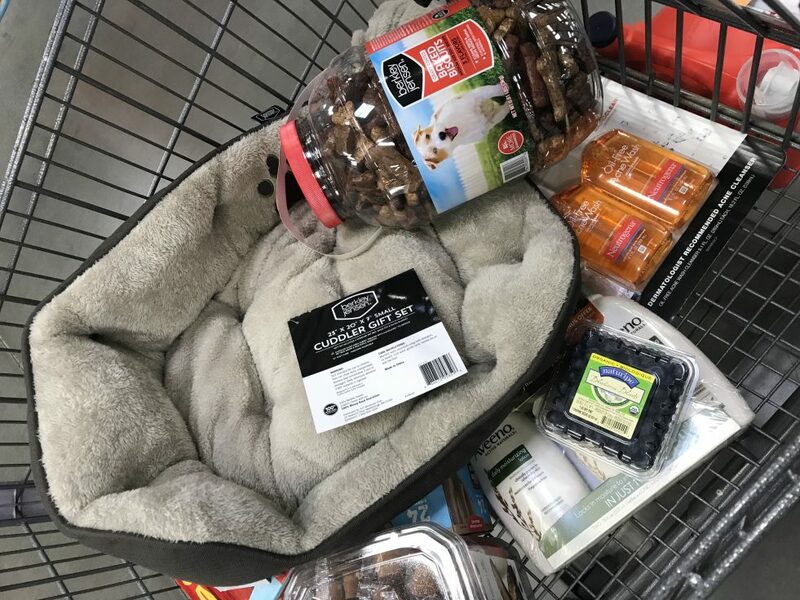 Not only do they have all the groceries and household needs at good prices, but you can get an assortment of food and accessories for your cat or dog on the same shopping trip. Did you know that BJ’s offers a large selection of leading national brands and specialty pet food brands at great prices? While I was doing my weekly BJ’s run this week, I was able to pick up some of their Berkley Jensen line of high-quality pet products. 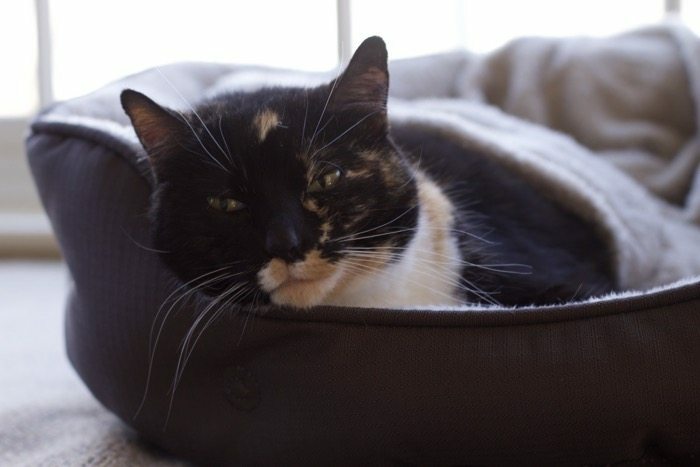 Since Lacy has been spending more time in our house, remember she was a barn cat, we bought her a new pet bed. 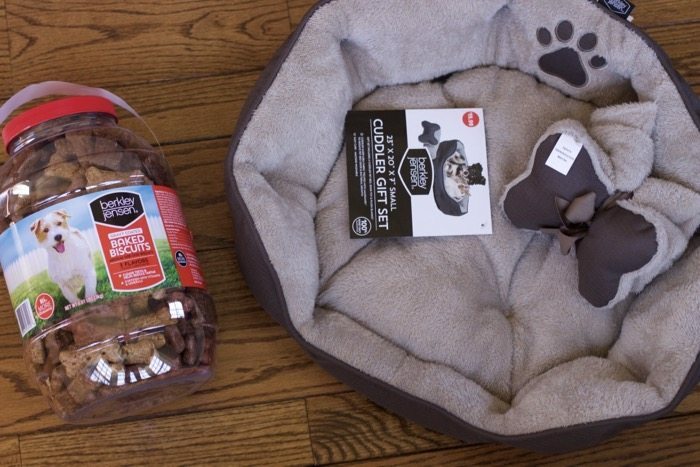 For under $20 we got a high-quality pet bed as well as a comfy blanket and a toy for Chloe. 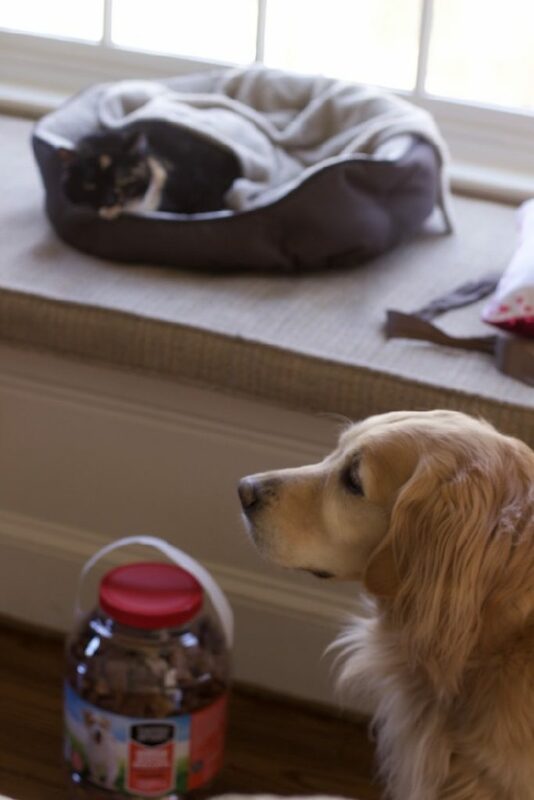 As you can see by these great pet purchases, BJ’s Wholesale Club is truly a one-stop shopping destination for both the family and your pets. Everyone seems very content with their new goodies. As you can tell from the shopping cart photo, I was able to get beauty supplies to fresh fruit and veggies on the same trip. I love that BJ’s Wholesale Club also has a deli section where you can get freshly cut lunch meats and don’t have to buy in bulk. I am not sure if your delivery people leave treats for your dogs, but our delivery drives will often leave a dog bone for Chloe. To pay her back for all the treats, we bought this large container of Berkely Jensen Dog Treats. Now she will have a fresh supply of high quality treats to share with all the dogs on her route. By sharing our treats, they will also know BJs Warehouse is the perfect place to buy quality pet treats at great prices. Close to Home wants to share these great savings with you. If you are not already a member you can Click here to join BJ’s today and you’ll receive a $25 gift card for signing up! Basically, this means you are getting their membership for almost half off. Not only will your kids be excited you have bought their favorite snacks, but your pets will love their treats, toys, and food you have picked out for them too. Looks like you got some great finds for your pets! It’s always nice have a great selection of items at good prices to provide for your family – pets included. I have never been to a BJs not sure if we have them here but they seem like great deals! That is too bad you don’t have one nearby. Maybe it will come to your town soon! I love saving money on products for each member of the family. BJ’s is a great place to stock up on all of our pet needs. We buy our treats in bulk! 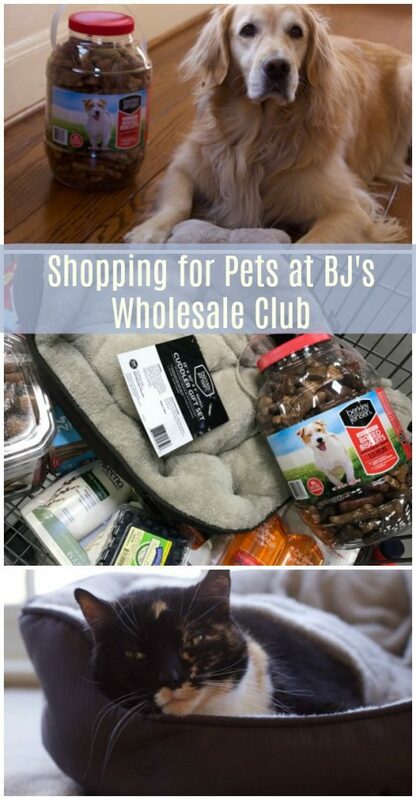 I never thought about going to BJ’s for pet supplies. I mean, I have been there for Christmas stuff before though. I will have to check ours out to see what they have for deals on stuff for Jenny the pug. I love buying in bulk. We usually buy soaps and non perishable in bulk. Plus it is a one stop shopping, great for saving time and money. I’ve never been to a bjs before but those beds look like they’d make my cats pass right out. We have resorted to ordering a lot of our pet supplies from amazon. 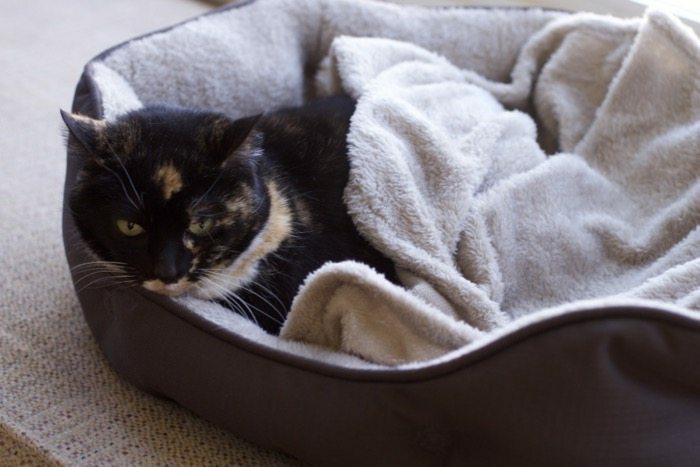 Your cat looks so cozy! Those beds are perfect for cats. BJs has really good pet stuff!